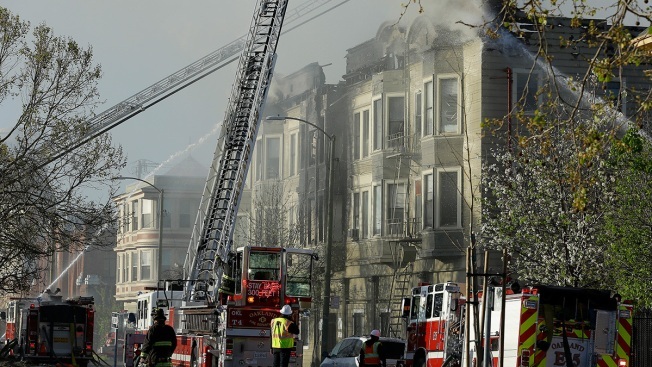 The Alameda County Coroner's Office identified another victim who was killed after a four-alarm fire broke out inside a transitional housing building in Oakland on March 27. Ashantikee Wilson, 41, of Oakland joins 64-year-old Edwarn Anderson and 50-year-old Cassandra Roberston as those killed as a result of the blaze, which was ignited by a candle. A total of four people were killed while several others managed to escape to safety. The fire occurred just three days after city building inspectors found multiple fire code violations, including inoperable sprinklers and alarms. Officials also noted a lack of fire extinguishers and overloaded electrical cords during the inspection. An Oakland fire captain recommended in January that the building should be shut down immediately for safety reasons, but department officials opted to take less drastic measures, according to records.